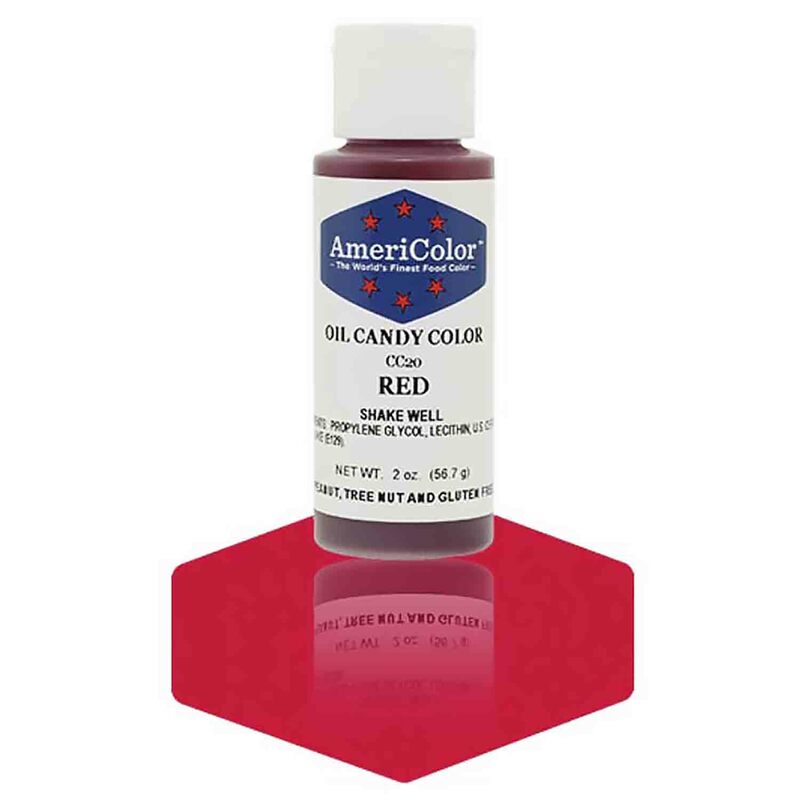 AmeriColor® oil candy colors have been formulated to achieve the highest quality in color, even on products with very high fat and oil substances like dark and white chocolate, compound chocolate and candy coating, and high-ratio buttercream icing. Cake colorings are water-based and may ruin your candy. If trying to make a darker color, start with a colored candy coating before adding oil candy color. Example: If you are wanting royal blue, start with blue candy coating and add blue candy color, rather than adding blue candy color to white coating. Too much coloring can give the candy a bitter taste and color teeth. When adding color, the candy may thicken and paramount crystals may need to be added. Ingredients: Lecithin, Propylene Glycol, may contain one or more of the following U.S. Certified Food Colors (Blue 1, Blue 2, Red 3, Red 40, Red 40 Lake, Yellow 5 and Yellow 6).